Facials have never been easier for you to do yourself at home so I thought that I would share with you a few of my favourite masks from Lonvitalite, an amazing Gold Coast based skincare company. 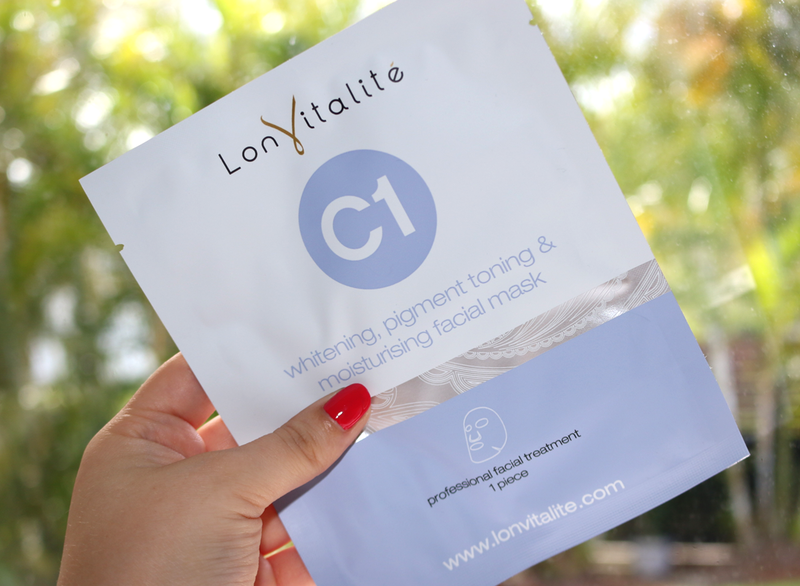 First up we have the C1 facial mask which focusses on whitening, pigment toning and moisturising. Grume essence extracted from seaweed helps to calm heat and rid toxins as well as strengthen blood circulation thus boosting the skin's metabolism. Also assists in smoothing wrinkles, replenishing the skin and it's nutrient levels. 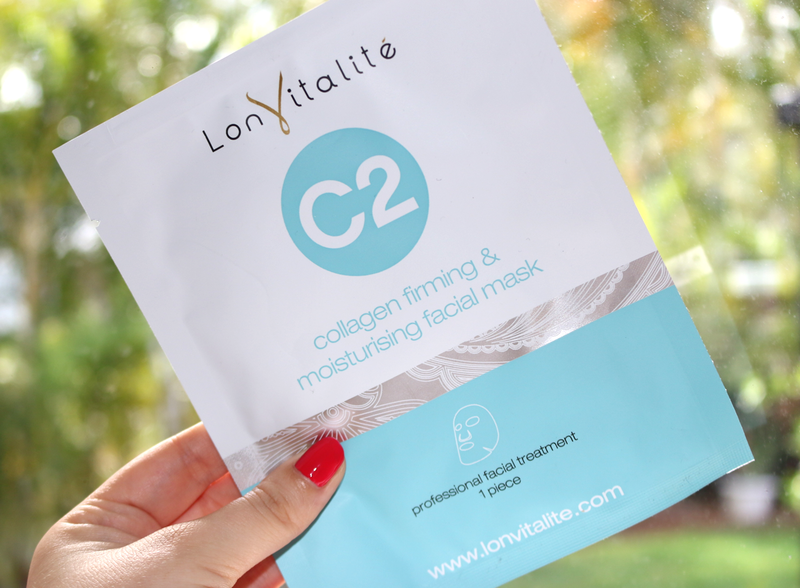 Next up is the collagen firming and moisturising facial mask, C2. It accelerates skin's metabolism to reinforce skin cell growth resulting in smooth and moisturised skin. It also contains hyaluronic acid which cushions and lubricates the cells, leaving the skin hydrated and plump. If you want to learn more about hyaluronic then you can check out my full review on Hydraluron here. 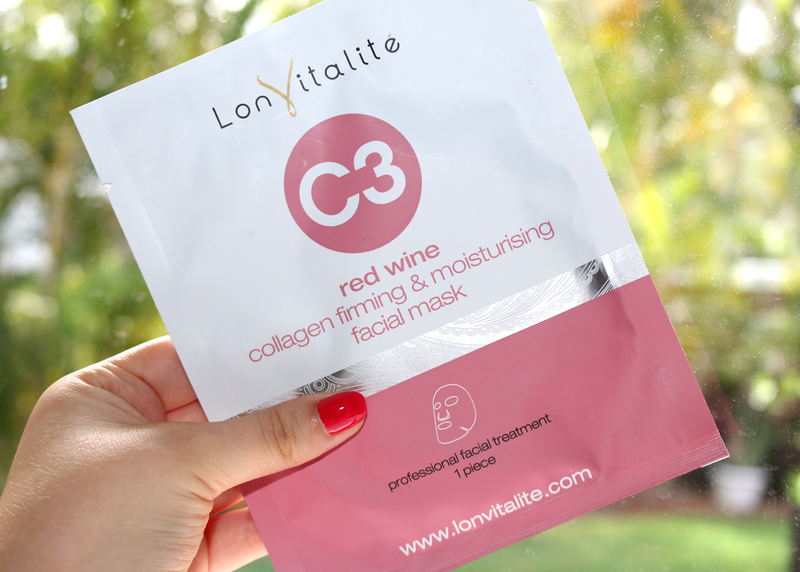 C3 is a red wine collagen firming and moisturising facial mask. This mask aims to improve oxygen levels within the skin by promoting blood circulation which helps to fade dull and yellowish tones. It also improves the firmness of the skin to make it supple and taut while providing calm, soothing relief for sun exposed skin due to it's anti-inflammatory properties. These are sheet masks so you unfold it into one piece and apply it directly to your face. I leave it to sit on for about 10-15 minutes then I remove it and with warm water wash away any residue left. I love using these as a mid-week pick me up or weekend pamper product, since they're so easy to use and only take about 20 minutes it's like a speed spa session. If none of these variations stand out to you then definitely go on the website and check out the amazing range that they have. One of my favourites is the coconut and another is the 12kt gold mask.